Zanzibar is one of those places that you’ve definitely heard of, but probably don’t have a definite idea in your head of what to expect. That was certainly the case for me before I planned my visit as part of my honeymoon. 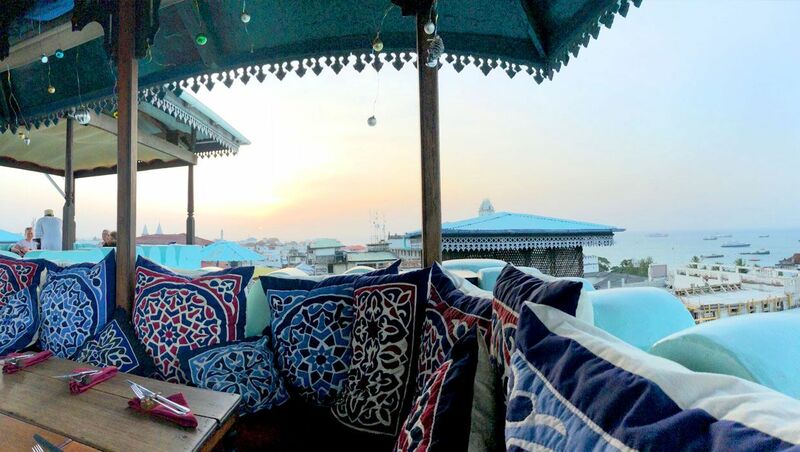 Taking advantage of the proximity to our Tanzania safari, we decided to tack on a few nights relaxation time in a beach resort and a day exploring Stone Town. With images of Freddie Mercury, endless white beaches and bazaars flashing through my head, we arrived on a short flight from Kilimanjaro taking in the azure waters of the Indian Ocean. There is a much more noticeable Arabian influence on the island than in mainland Tanzania, providing lots of interesting architecture to admire. The history of the island has many dark tales to tell, being the centre of the slave and ivory trades, coming under the rule of the south Arabian state of Muscat and Oman in the late 17th century. Zanzibar regained its independence in 1963 and a revolt in January of 1964 saw Zanzibar form a union with what was then known as Tanganyika to become Tanzania. Our safari guide had told us that this union is part of the reason that Tanzania has become a more peaceful country than many others – the leaders encouraged the various tribes and cultures to work and live together by providing a common identity, rather than reinforcing differences. 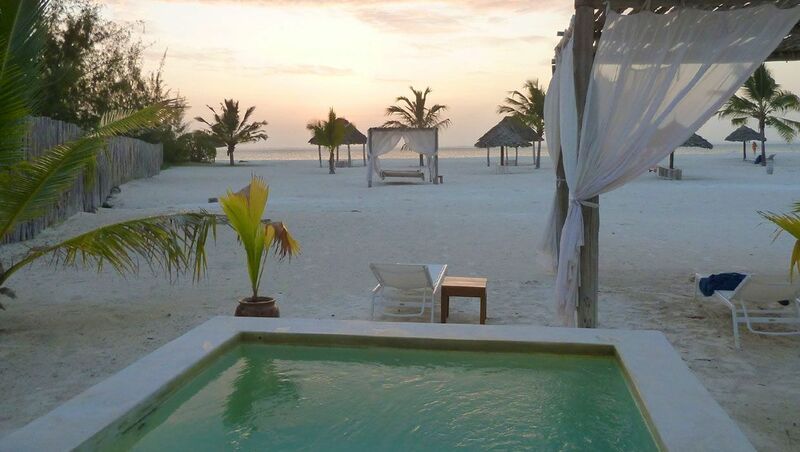 We transferred directly from the airport to our beach accommodation at Konokono Beach Resort – around 80 minutes by road through the outskirts of Zanzibar City, through towns and forests full of red colobus monkeys. Upon arrival, we were treated to a very warm welcome and our beachside villa with plunge pool was the perfect place to relax for a few nights and recount our safari adventures. The quality of the food was good at the resort but the real standout was the fine white sand of the private beach and the sunsets from our private plunge pool. 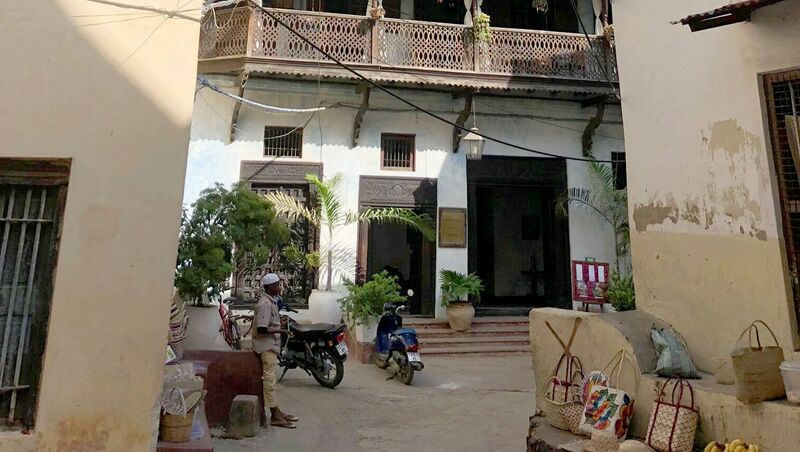 We ventured back to Zanzibar City for our last night on the island, staying in Stone Town. This is the oldest part of the city, and is a UNESCO World Heritage site due to its mix of Arab, Persian, Indian and European architecture. The streets are constantly buzzing with activity, with night food markets (for the brave! ), enthusiastic shop owners encouraging your visit and a non-stop procession of boats of all sizes ferrying passengers and cargo to the various islands and reefs surrounding. After spending the afternoon wandering the streets and admiring the architecture, we had dinner on the rooftop of the Emerson on Hurumzi Hotel at the popular Tea House restaurant. This was a great experience, with spectacular panoramic views of the harbour and city skyline as the sun went down. For $30 USD per head we were treated to a five-course local menu and traditional Taarab music performance. 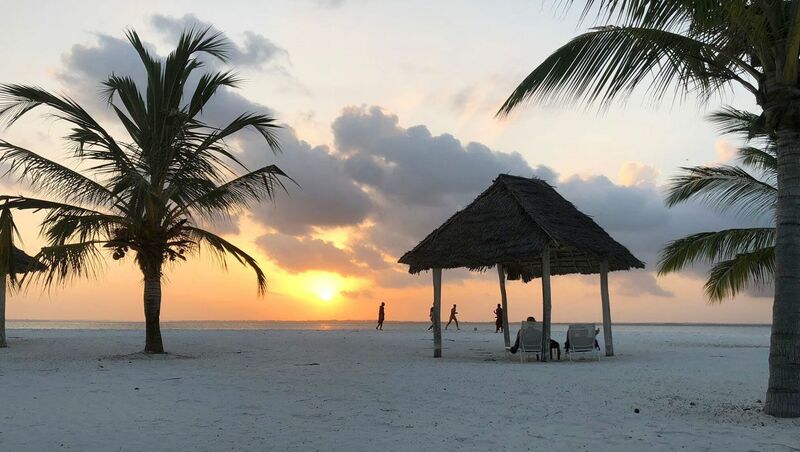 We got a nice taste for this exotic island and saw enough to encourage another visit when we are next in Tanzania – when we will visit some of the northern beaches and surrounding islands.